It is the perfect time to visit with us, especially if you have never been here. 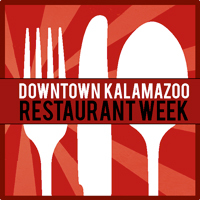 Our Chefs have crafted a signature 3-course menu to for this bi-annual event in downtown. The $25 menu will include vegetarian options in each of the 3-courses. In addition, we are offering an Artisan Cheese Board, Craft Beer flight, or Wine flight for $10, available for both lunch and dinner.